In a quiet Welsh valley in the far west of Gwynedd is a small and potentially insignificant little railway, but one with a unique history and a very special place in worldwide heritage preservation. The Talyllyn Railway was built in 1865 under powers granted under an Act of Parliament, an Act which also created the Talyllyn Railway Company, which still operates the railway to this day. It was built to carry slate from the quarry high up above the little village of Abergynolwyn to the seaside town of Tywyn where it was transhipped to the main railway line. This was at a time when Welsh slate roofed the world and transporting it was a major challenge. Build to the narrow gauge of 2’3” (about half the size of ‘normal’ main line standard gauge), this made construction cheaper and enabled it to more readily wind its way up the valley. And that it did day in and day out, almost forgotten by the rest of the world, until after the second world war, when the closure of the quarry meant its only remaining traffic was just a few passengers. Still operating with its two original steam locomotives, and four carriages from 1865 the railway was in a very poor state. However, rather than closing, it was rescued by an enthusiastic band of volunteers who formed the Talyllyn Railway Preservation Society in 1950. The Society became the first to operate and rescue a railway anywhere in the world… so starting a movement that now spans the world maintaining and keeping running all manner of heritage railways and other important related artefacts. 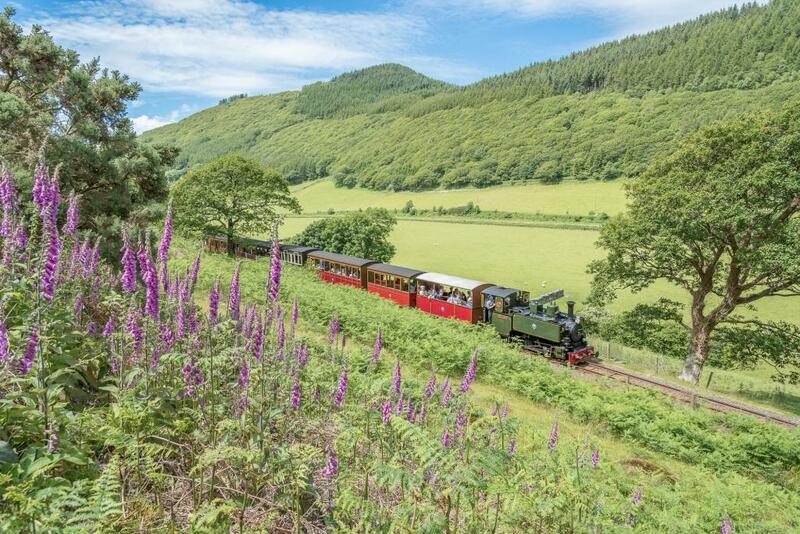 The Society was gifted the railway by the widow of the former owner and so to this day still operates and runs the Talyllyn Railway through the 1865 Statutory Company, with volunteers and a small band of paid staff. I first became involved in the early 90s when I trained and qualified as a signalman (the Talyllyn calls them blockman!) spending days of my holiday half way up a beautiful remote part of Wales away from the hustle of my normal professional world watching the steam trains go by! Heaven. In 2005, I was approached to succeed the retiring treasurer to the Society and financial officer to the railway company and the charity which was also now part of the group. My predecessor had done the job for 40 years and all the accounting was done manually (not anymore!). In fact, I am only the third person to hold the post in the history of the Society. Operating a heritage railway is a unique and challenging activity and one which I delight in. The balance of heritage over modern methods, the need to financially support the ageing assets and managing the Society with now some 4,500 members keeps the board and management very busy, and I am really pleased to play my part in that team. With a very long-standing business relationship with McBrides (my business Insight Associates and McBrides have many mutual clients) there was no hesitation in inviting the firm to act as auditors when the charity exceeded the £1m turnover threshold last year. A very unique challenge, which I am delighted to say the team has risen to and added much value. The company is certainly very different from any other McBrides client! Article written by Garry Mumford, Chief Financial Officer, Talyllyn Railway. More information on the Talyllyn Railway can be found at www.talyllyn.co.uk.